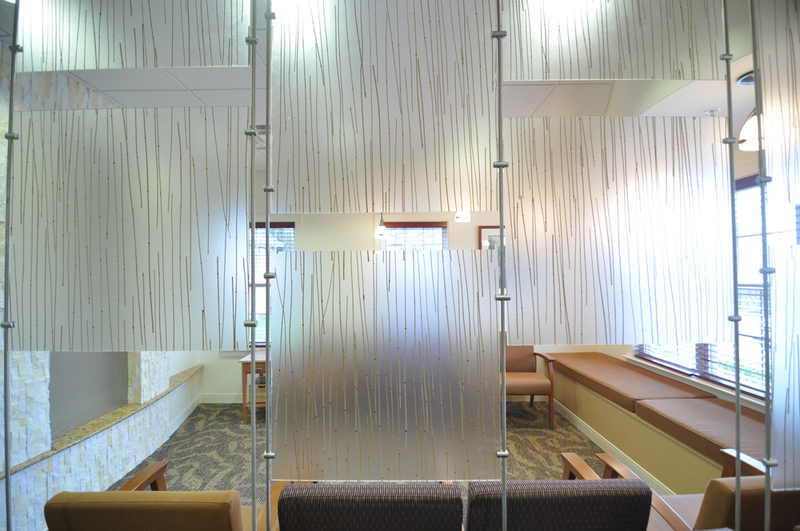 Dr. Menton — JSR Associates, Inc.
10 years ago JSR Associates, Inc. created a space for Dr. Menton's dental suite that supported a healing environment while appealing to clients of all ages. 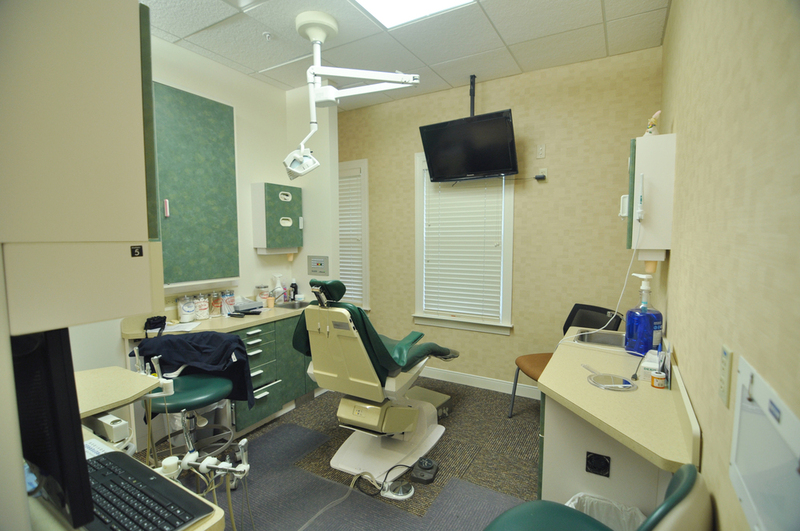 Over the past 10 years, Menton Family Dental has grown and transitioned into a very efficient and expanding practice. With new technologies available, Dr. Menton asked JSR Associates to once again to redesign his office to reflect his practice today. JSR spent the early stages of design evaluating the different processes and procedures of the existing work space. 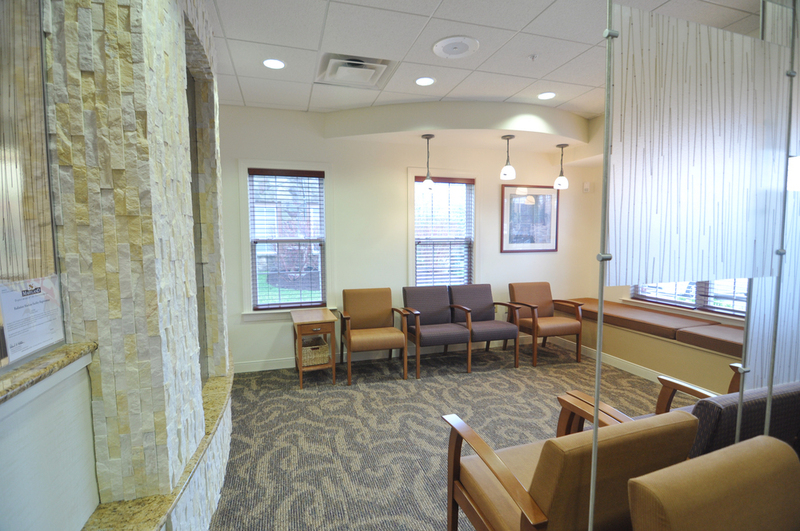 The new design evaluated the reconfiguration of the front office and reception space as new practice procedures relied less on paper files and more on electronic data. The new layout allowed for multiple patient check-in and check-out procedures while providing privacy in an high active setting. 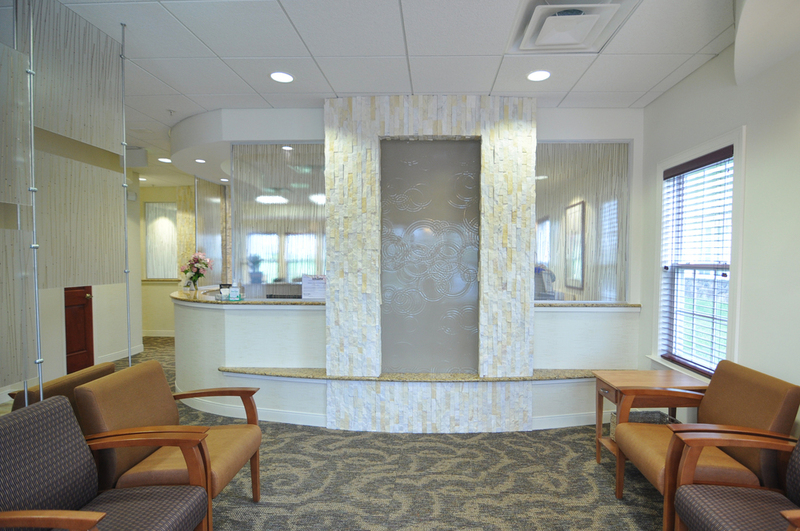 Walking into the newly remodeled dental suite, clients are greeted with a view of the waiting room activated with floating resin panel dividers, updated furniture, and new, vibrant carpet that leads the eye to rooms main feature, the curved stone wall complete with a rippled resin panel creating the illusion of a waterfall. The change in ceiling height, the flow in carpet pattern, and the neutral finishes help provide a calming and attractive environment.